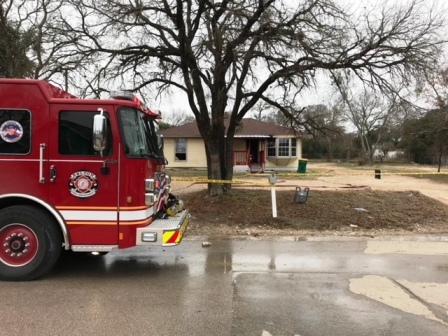 The Belton Fire Department responded to and extinguished a fire at a house in the 700 block of W. Avenue C on Wednesday. The house was significantly damaged. The call was received at 12:18 p.m. Firefighters arrived and saw flames in the back area of the house. The fire was under control within 10 minutes, but the structure suffered significant fire, smoke and water damage. Nobody was home when firefighters arrived, and no injuries were reported. The cause of the fire is under investigation.